Why did you become an acupuncturist? After practicing as a registered nurse for more than 25 years, I knew there had to be a way to help people deal with their health and illness that was more effective than taking another pill or being subjected to the fragmented and impersonal world of modern “health” care. 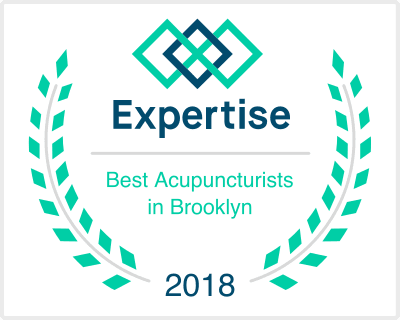 Acupuncture, with its focus on treating the whole person and the root of the problem (rather than just alleviating symptoms), empowers people to take control of their health and their lives. I am honored to be a guide for my patients as they embark upon this journey. What distinguishes you from other acupuncturists? My main goal in treating my patients is to come to them with a great sense of compassion. I consider our relationship to be a partnership, with them taking the lead in determining what their ultimate goal is for improving and maintaining their health. Through acupuncture and lifestyle education, I want to empower them to realize their greatest potential. When this happens, the whole world opens up to them. I also bring my extensive experience as a registered nurse to my work in acupuncture. For clients who are a little uncertain about pursuing an alternative modality, it is comforting for them to know their acupuncturist has a strong familiarity with their medications, their lab results, and the Western model of medicine in general. I love learning about my patients and their lives, and I love what they teach me. Each person is so unique, and they bring so much to the people that surround them. It is a great privilege to be a part of their journey! What is the biggest misconception you hear about acupuncture? The biggest misconception that I hear about acupuncture is that there is no proof that it works. While the body of research about its effectiveness is comparatively limited, it is growing—and I feel like it is difficult to discount the longevity of the medicine. When my patients return and tell me they are better, that, for me, is proof enough. How do you stay healthy in your own life? For me, living a healthy lifestyle is an investment. Investments take time and energy, but they have a long-term pay off. I have a daily meditation practice, I receive regular acupuncture, I exercise daily (weight lifting, running, cycling, stretching), and I try to eat foods that are as close to their original form as possible. Not that my choices are always perfect, but I try to be as mindful as possible, knowing that the effects are cumulative.